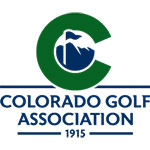 U.S. AIR FORCE ACADEMY, Colo. (Sept. 12, 2018) – Robert Polk of Colorado Golf Club and Bill Fowler of The Club at Rolling Hills have teamed up to win two of the last three CGA Senior Four-Ball titles. On Thursday, the two will be in the lead group at the 47th CGA Senior Amateur, but they'll be competing against one another -- and the field -- rather than as partners. On a formidable Blue Course at Eisenhower Golf Club that seems to be getting the best of everyone in the field, Polk retained the lead in his quest for a fourth CGA Senior Amateur title. The 63-year-old shot a 4-over 76 on Wednesday to check in at 3-over 147, one stroke ahead of Fowler. Polk, winner of the event in 2005, '07 and '09, made one birdie and five bogeys in Round 2. He's trying to become just the fourth player to win this championship at least four times, joining Larry Eaton (a seven-time champion), John Olive (five) and Les Fowler (four). But Bill Fowler, the 2015 CGA Senior Amateur champion, made up four strokes on Polk on Wednesday with an even-par 72. The former CGA president eagled the 550-yard par-5 ninth hole and added a birdie and three bogeys in Round 2. Fowler and Jay Orris of Boulder Country Club tied for the best rounds of the day with their 72s. But Polk and Fowler are far from the only ones in contention for the title on Thursday. Eight players are within six strokes of Polk. In third place at 149 is 2018 CGA Senior Match Play champion John Hornbeck of Saratoga, Wyo., who matched Polk's 76, triple-bogeying his first hole but also making five birdies. Defending champion Steve Ivan of Patty Jewett Golf Course also carded a 76 and sits in fourth place at 150. Ivan was the runner-up to Hornbeck at this year's CGA Senior Match Play. Orris, with his 72, trails Polk by four. He double eagled the 530-yard, par-5 fifth hole for the highlight of the tournament to this point. The field was cut from 84 to the low 40 players and ties (44 specifically) after Wednesday's second round. Active CGA members ages 50 and up. 54 holes of stroke play. A 36-hole cut will be made to the low 40 players and ties. Non-exempt players must pre-qualify.